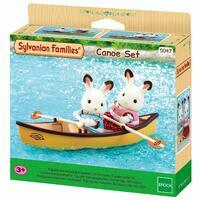 Canoeing has become a very popular past-time in Sylvania! 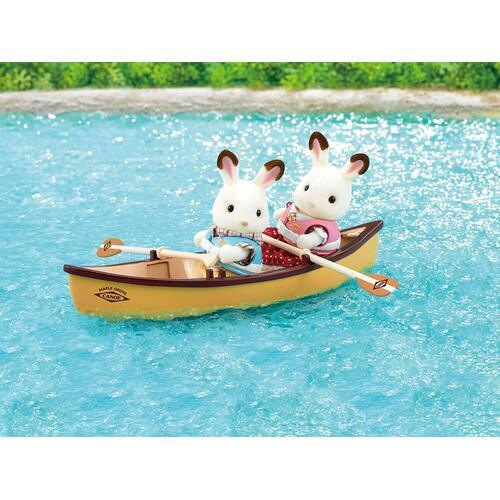 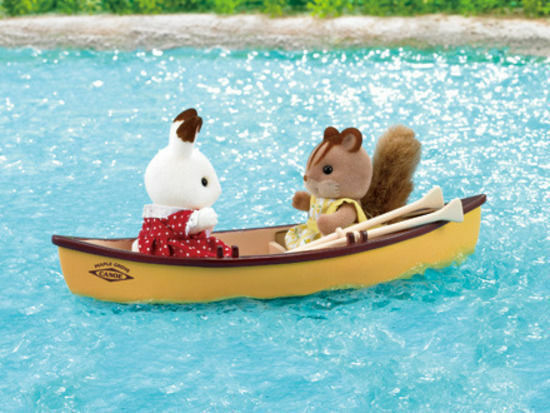 Sylvanians just love to explore the lakes and rivers in their boats! 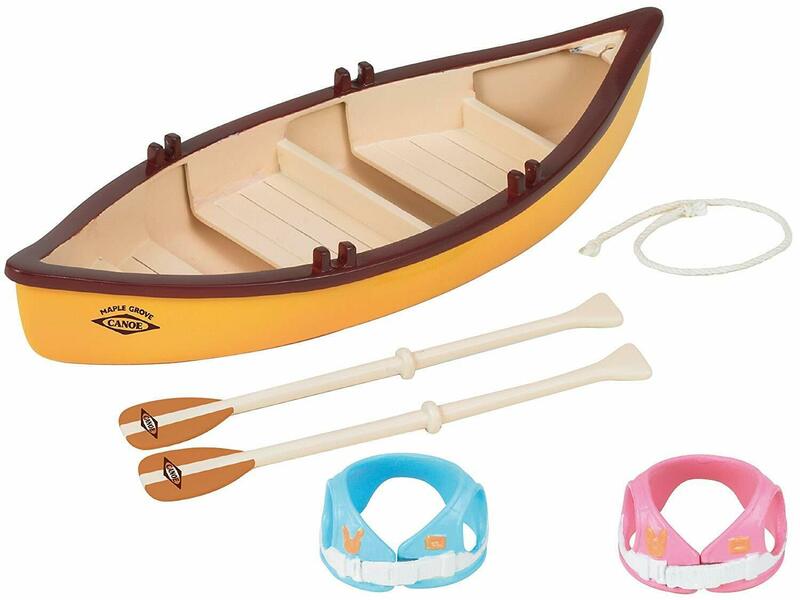 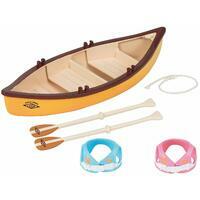 The canoe comes in a beautiful shade of lemon curd yellow with 2 matching oars. 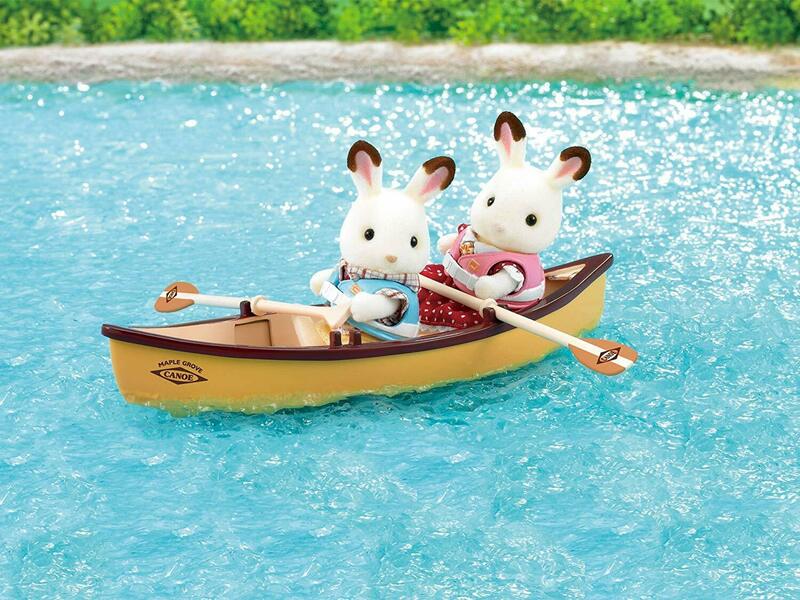 Safety comes first in Sylvania, and there are 2 life jackets, 1 in blue and 1 in pink, making this the perfect adventure set for a brother and sister looking for something to do on a sunny day. 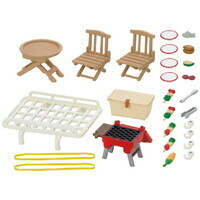 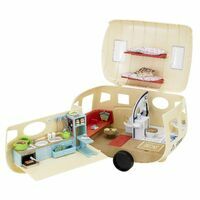 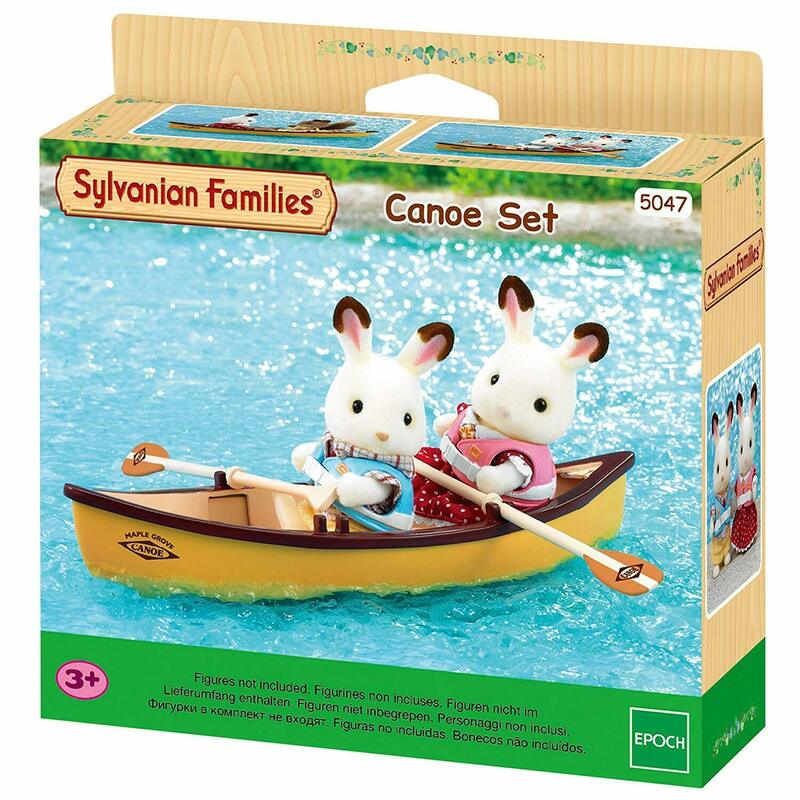 This is the pefect set if you want to add a pinch of adventure into your Sylvanians lives, but make sure you teach them to swim before they go out on the water alone! 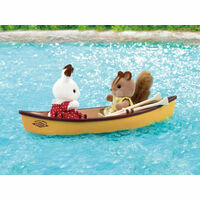 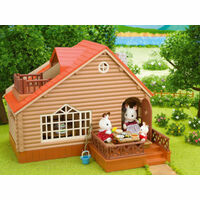 The string is perfect for mouring the boat, or even helping steer your Sylvanians in the right direction on the river.